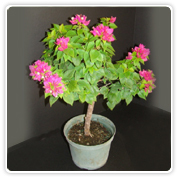 Description: This is a fast growing hardy tree that produces elaborate banyan roots. Can also have variegated leaves. Water Ins. : Keep Moist, Does not like to be Dry. 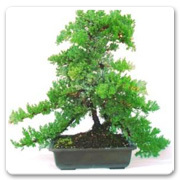 Description: Locally grown from seed, small leaves great candidate for Bonsai. Water Ins. : May be allowed to go dry between waterings. Needs good drainage. Description: This strong tree responds quite well to a number of techniques while providing excellent growth characteristics. 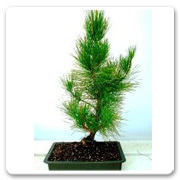 Because of the Japanese Black Pine being so hardy and versatile, it makes a great choice for beginner or advanced bonsai enthusiasts. Water Ins. : They like to be on the dry side so only water as needed. Description: This tree is one of the most beautiful of all bonsai because of its delicate white flower and its vibrant leaf color. Water Ins. : Keep evenly moist. Do not allow to dry out. Description: It is so unique because of the driftwood, each tree was hand collected. Light Conditions: Full Sun to Partial Shade. Water Ins. : Needs a lot of water. Description: Chinese elm is fast growing, deciduous or evergreen depending on its location forms a graceful upright rounded canopy with shiny, dark green leathery leaves. Water Ins. : Watering must be done daily, year round, in the south. The pots may be kept submerged almost to the rim during the summer. 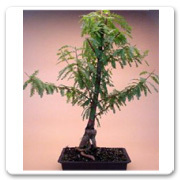 Description: Native to Florida, great for single trees and forest groupings. 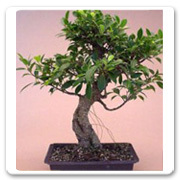 Light Conditions: Most Ficus will grow decently in low light, but thrive in high light conditions. Water Ins. : Moderate, increasing in summer and decreasing in winter. 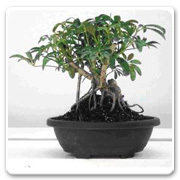 Many Ficus are very tolerant of being over or under watered, which makes them ideal for beginners. Ficus likes a daily misting to maintain humidity. Description: Tree that can grow in most environments. It makes this tree a unique addition to any collection. 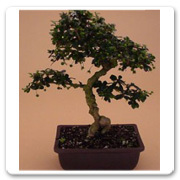 Description: The Fukien Tea is a perfect tree for the beginning bonsai artist. It is a fast growing hardy tree. 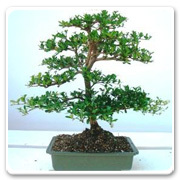 With it’s small leaves, delicate white flower, and gnarled trunk it is one of the most interesting bonsai trees available. 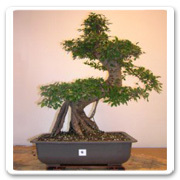 Description: The ease of trimming make this bonsai a winner for beginners.